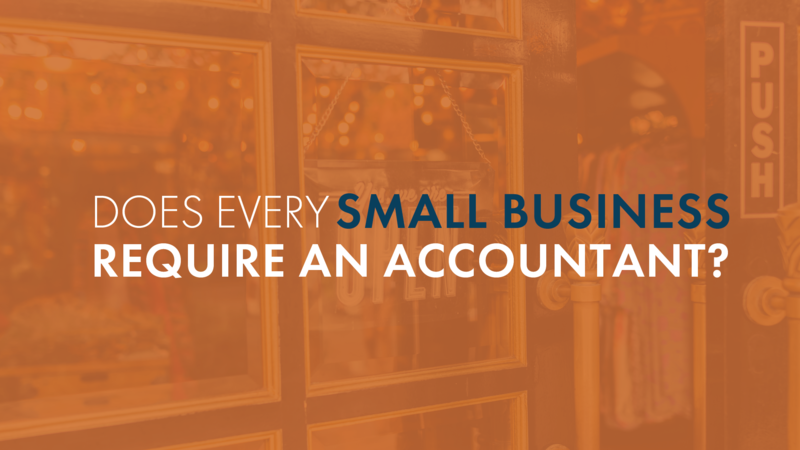 Let’s clear something up right away: Every small business needs an accountant. If you’re skeptical, that’s understandable - so let us show you why it’s true. Ascension CPA, an Oklahoma accounting service, has helped hundreds of companies clean up their financial pictures and find ways to save serious money. We’ve put together a list of the reasons accountants are so important to small businesses. First, consider that the average business owner spends at least 3 to 5 hours a month on bookkeeping, with about one-third spending 6 to 10 hours or more on it, month after month. That’s a huge investment of time for a busy person who has a million other things to do. When asked to describe “the worst part of owning a business” 40% of small business owners said it was accounting - doing payroll, reconciling charges, and all the other basic tasks of bookkeeping. Time is extremely valuable at a small business. Having an accountant relieves business owners of a time-consuming activity that eats up energy they should be putting into running the company. Are you - or is your company’s owner - a certified public accountant (CPA)? If so, that’s terrific. It means they have special insight into your accounting needs, from the inside out. However, we’d argue that a small business needs an accountant whether the owner is a CPA or not. When you use an accountant who focuses on nothing but accounting, your company’s books will have their undivided attention. They can spend time examining your company structure and finding ways to make it better. They can find things you’ve overlooked and warn you before small details become a big problem. A whopping 89% of small businesses say they see more success with using an accountant than without one. Think of it this way: Even accounting firms have their own separate accountants. It’s just good business. Hiring an accountant means you’ll get someone who’s up to date on all the certifications, licenses, and laws pertaining to the field. They’ll follow the best practices of the GAAP: generally accepted accounting principles. Even big companies make huge accounting blunders that are only caught by outside accountants. For example, Groupon made a $22 million accounting mistake a few years ago. After Ernst & Young were brought in to determine what went wrong, they concluded Groupon had poor in-house accounting controls and non-standard practices that led to the disaster. Are you taking advantage of all applicable tax breaks and deductions? Are you sure? Above all else, accountants are tax preparation experts. They speak the same language as the IRS, and can read between the lines of the tax code. They’ll ensure you stay well within the law, while finding every possible way to save money. It’s not unusual for an accountant to prepare a company’s taxes and find thousands of dollars in savings from things like small business deductions. Here’s a critical reason every company needs an accountant: fraud prevention. If you have any leeway or laxness at all in your accounting methods, an employee could exploit this and cost you money. Outside accounting firms are particularly good at catching employee fraud. They see beyond the “expectation gap” that exists within in-house accounting, where employees inadvertently overlook risks because they don’t expect their coworkers to do bad things. Finally, consider the impact of accounting stress on you and your staff. Are you constantly running down missing receipts? Refunding client invoices? Fixing payroll errors? These are stressful activities can that leave your entire company feeling drained. Ascension CPAs & Consultants can relieve your stress and handle all your accounting needs. We offer an all-in-one flat monthly fee structure that provides total cost clarity for your small business. We provide world-class financial services with a personal touch.